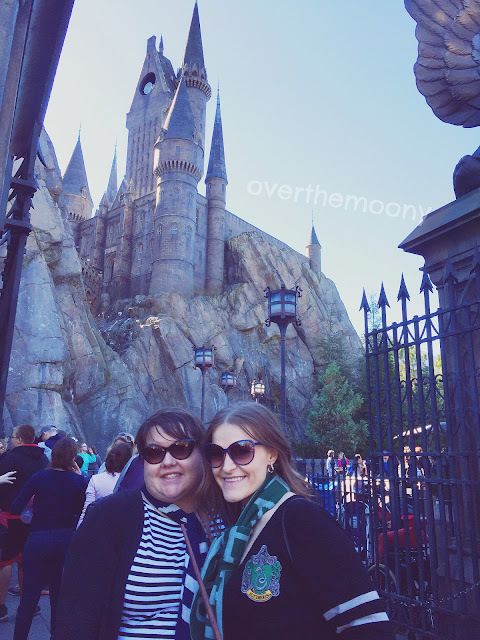 Over The Moony: Wizarding World of Harry Potter Orlando Experience + Photos! Wizarding World of Harry Potter Orlando Experience + Photos! Hello and welcome back to a regular, functioning blog! I'm super excited to be back with you guys and I have a lot of fun stuff I want to share with you. I've started some new hobbies, have some new things that I'm reading, and a whole new energy I'm ready to bring to this place! 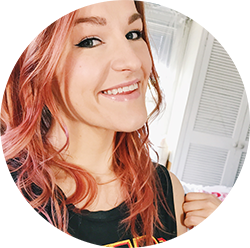 Plus a bit of a new look, some fancy new buttons to help you guys follow me on social media (please do so we can share in all sorts of randomness!) and a fully updated reading list, most of which I'm woefully behind on and need to do some serious catching up on. While I was away, I had the opportunity to go down to Florida and go to Universal Studios for the first time since I took my senior trip in high school in 2008. Needless to say, a lot has changed there since then, including the most important addition of the Wizarding World of Harry Potter! Since I got into the series a couple years ago, I was chomping at the bit to get down there and I was beyond surprised when my boyfriend gifted me a trip down there as a joint Valentine's Day/Birthday/Anniversary gift, which coupled with a trip to Disney World that I have yet to take - but hopefully soon! I went with his sister, Michele, and we had an absolute blast. I will share a lot of pictures and experiences with you guys from our overall trip over the next couple months (especially since I got into total nature photographer in Jurassic Park), but I wanted to kick off the relaunch with my Wizarding World experiences! 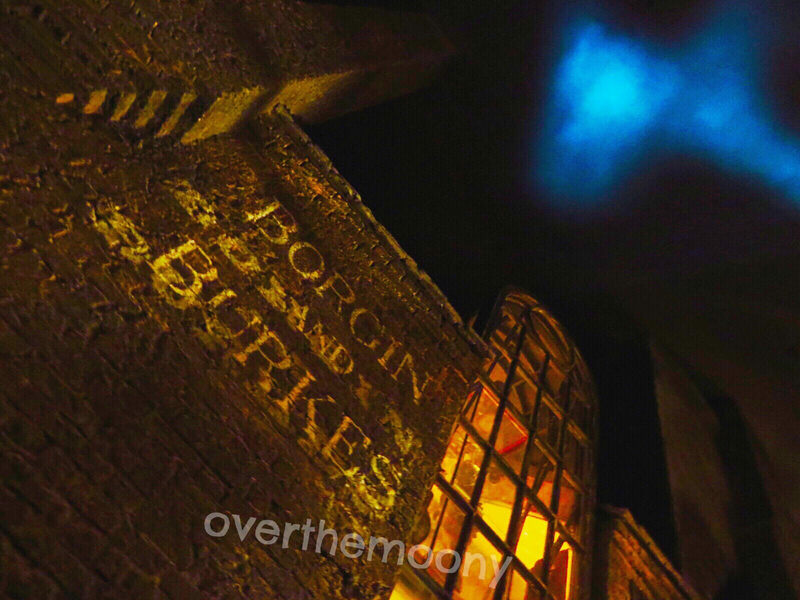 I will admit that I almost started crying when I first walked into Diagon Alley. Walking in there was so surreal and it felt like I was actually in the movie. I was waiting for Harry to come walking around the corner with Hadgrid at any moment. 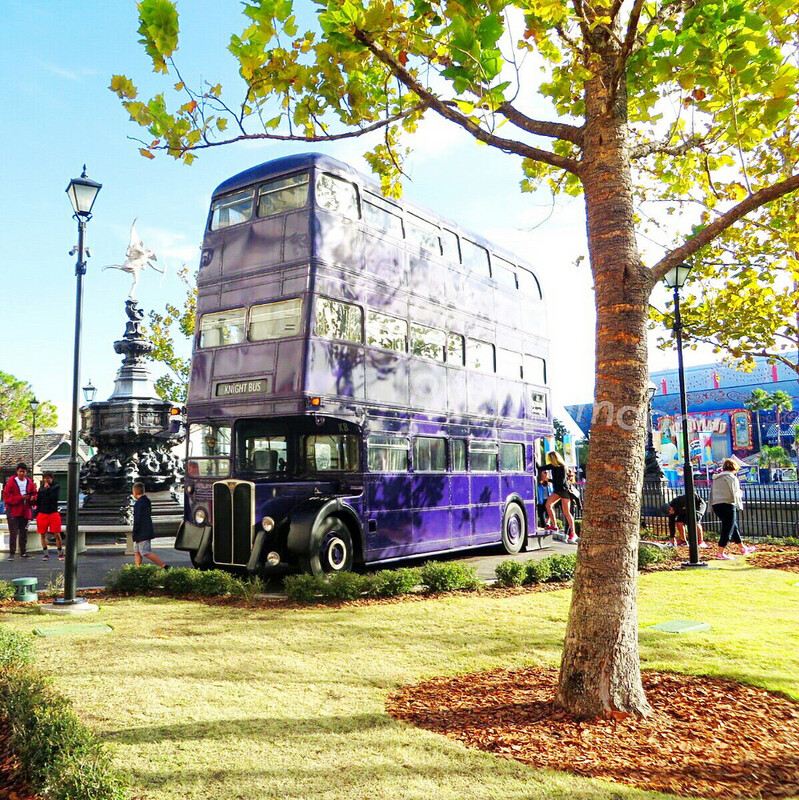 Even the outside with the Knight Bus and Grimmauld Place and Kreacher peering through the curtains was absolutely perfect! I was just floored. 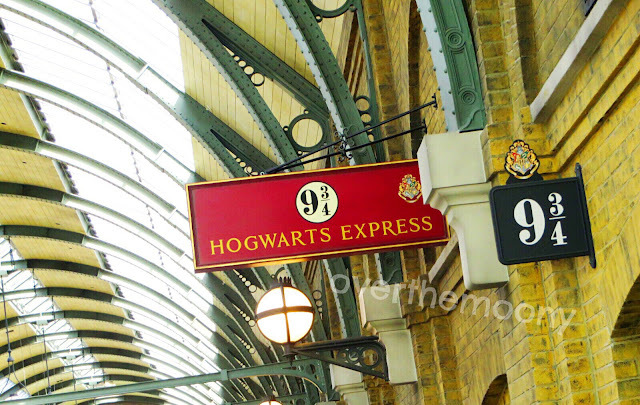 Of course we went to Diagon Alley first, since you need to get your supplies there before you can go to Hogwarts, so we spent a good chunk of time exploring in Diagon Alley before taking the Hogwarts Express over the Hogsmeade. Walking into the town was so cool with all of the snowy rooftops and shops. And then getting the first look at Hogwarts was jaw dropping. It was the coolest thing! Again, not to be redundant, but it looked so real and perfect! I felt like I was home. Also - Pro Tip: We went down there the week after New Years, January 3-7. Since John's sister lives in Virginia, we just decided to meet at the hotel. I got down there first and got us checked in. The lobby was still decorated for Christmas, which was kind of cool! In fact, most of the park was still decorated. Anyway, it was a little crowded but mostly with people checking out. When we went into the park on Monday morning, it was not crowded at all. Most of the wait times were really low and we only waited longer than 25 minutes three times - the first time we went on the ride in Hogwarts, the first time we went on the ride in Gringotts (there was a malfunction that delayed things), and the Ripsaw Falls ride. Other than that, there were little-to-no lines and for a theme park, not a lot of people. If you're able to go down there around that time I would absolutely recommend it! There was so much good in Diagon Alley. Being a Slytherin, naturally I had to go check out Knockturn Alley, which was so cool. The entire area is dark and a little cold. You really feel like someone could jump out at you any minute! Borgin and Burkes is such a cool store. I think I spent most of my money there... well, I know I spent most of my money there because I splurged on Lucius Malfoy's walking stick. I have yet to take it out of the box but I know exactly where it's going to live in my house! Of course we had to get ice cream from Florean Fortescue's Ice Cream Parlour. I got Butterbeer, because of course, and Michele got a combination of a couple non-Butterbeer ice creams (because you can't mix Butterbeer since it is trademarked). They were delicious but SO rich. I couldn't even finish mine! Going into all of the shops was super cool. Of course Weasleys' Wizard Wheezes was so much fun. There is so much silly stuff to buy in there and I love the naming ceremony they do for the Pygmy Puffs! Quality Quidditch Supplies was neat and I wanted to buy so many things! I settled on a Slytherin banner so I can proudly cheer on my house. My absolute favorite shop design-wise was Wiseacre's Wizarding Equipment. The inside of that store is stunning beyond and I couldn't stop staring at the ceiling, which was insanely counter-productive to the people in the store trying to walk around. I wanted to buy all of the quills and parchment and wax seals but they were quite pricey which made it easy to say no. And then there was Gringotts. I mean... words can't even describe how beautiful that place is, and the goblins inside are so life-like. Walking through the lobby was easily one of the coolest experiences of the trip. They would look at me and I felt like they were just going to start talking to me or make some sort of snide comment. And the ride was SO cool! I loved getting to ride along with some of the death eaters and I love those type of rides where you're in a cart but you feel like you're in some other reality, which is good because that's what pretty much all of the rides at Universal are now. Of course, I also had my first "official" Butterbeer, which was also very rich. I got it frozen which didn't help since I gave myself a brain freeze. We also made it a point to eat at the Leaky Cauldron and I had some delicious Fish & Chips. There was a funny moment while I was up taking pictures and our food was delivered to the table. Since I wasn't there the waiter asked Michele if her friend was wearing an invisibility cloak! Such commitment. I loved it! Oh, and the dragon. Can we talk about the dragon? The first day we went to Diagon Alley, that dragon was going off all.the.time. It was blowing fire like it was having a s'mores party and needed to burn those marshmallows (more on s'mores in a bit). And then I'm pretty sure the rest of the trip it only went off once, and that was after we stood there for I would have to say 45 minutes so we could see what it would look like at night... and we weren't there... we were watching the water show and we could just see the glow of the fire light its face. The anger was real, my friends, the anger was real. BUT, when we did get to see it go off it was absolutely amazing. She is so cool and so pretty and I loved taking millions of pictures of her while we waited stupid amounts of time for her to blow fire for five seconds. THIS WAS SO COOL! From walking through Kings Cross Station, to having the Magic billboard in the station, to going to through the wall, to HEDWIG, to the signs, to the train, everything was absolutely perfect! However, Michele and I only rode from Diagon Alley to Hogsmeade. We never even thought that it would be different going the other way! So we'll have to do that the next time. I feel like our first couple times taking the train was a little tainted. It was clear that we were the only ones who had never done this before and it was old hat for the other people so they just sat on their phone or talked the entire time. Someone else was complaining that she gets really bad claustrophobia and what happens if she has an anxiety attack during the ride? The conductor assured her that she could signal the camera and they would open the compartment. On the last day, however, we had a group of college-aged kids, one of whom had worked at Universal and had done this many times, and a bunch of others who had never done it before. That was easily the best ridge of the Hogwarts Express that we had! I mean, the first time we rode was obviously super magical since it was the first time, but getting to finally be around other people who actually were excited about it made the entire experience a million times better. Start out with the negative - the entrance to Hogsmeade is so weird setup-wise. You walk in, there is an entrance to a roller coaster to the right, Honeydukes (which, of course, everyone wants to go into) to the left, and a Butterbeer cart straight ahead. Needless to say, it's a little crowded trying to get in there and you need some patience! After that, it is so fun! Honeydukes was tough. I wanted all of the candy... and I bought a lot of it. Granted, a lot of it was for gifts, but a lot of it wasn't. And everything I bought from there was SO GOOD. We stayed at the Cabana Bay resort, which was cool because they had little fire pits outside and sold s'mores kits. I got these little chocolate bon-bons with strawberry filling that we used to make s'mores and they were omgsogood. We had to take advantage of the Owl Post to send out some post cards! The first night we went into the park we rode the Dragon Challenge roller coaster as our last ride for the night. It was completely dark and kind of awesome... also, kind of scary. You couldn't see what came next! But walking through to the coaster was cool as it was all themed around the Triwizard Tournament. There were banners cheering for the various champions and schools, and the Ford Anglia was there shining its lights at you. And then we went to Hogwarts, and everything seemed to kind of pale in comparison. Walking through there to get to the ride was an experience unto itself. Every little detail was amazing and there's many that I'm sure I missed. I mean, they even got Slytherin just behind Gryffindor in the house standings. All of the talking portraits were fantastic and I wish we had a little more time to actually enjoy what they were saying. The Defense Against the Dark Arts classroom was really cool! I loved the dragon skeleton hanging from the ceiling! And then the ride! Holy cow! It was SO EFFING COOL. I really thought I could reach out and touch the dragon and the spiders. Everything felt so in my face and I loved it! That was hands down my favorite ride in the whole park, which dethroned the Spiderman ride. Sorry Spidey! The entire experience was amazing and they even had a Draco cameo! All I wanted to do when I got home was go on YouTube and watch people's ride-along videos. I just wanted to ride it over and over again. 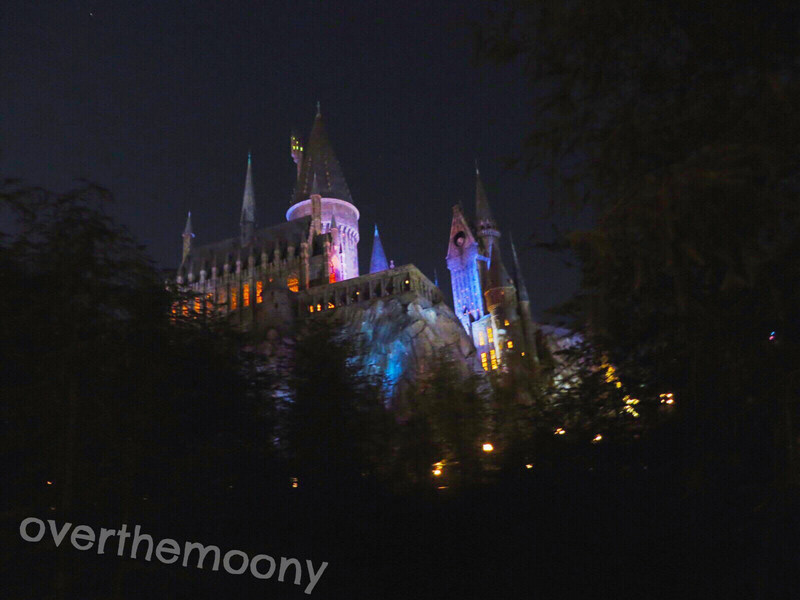 And then to see Hogwarts at night, lit up like the beautiful beacon that it is. That entire park was just absolute perfection. I had the most severe withdrawl when I got back into the real world. 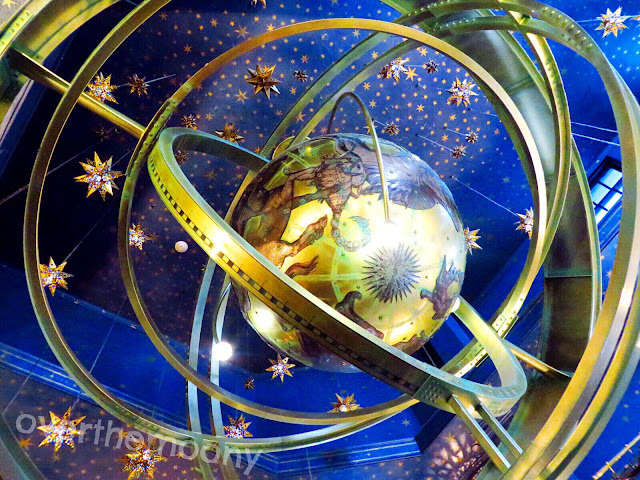 I just felt so magical walking around there with my wand, doing magic tricks, eating constant delicious foods, being completely immersed in the world thanks to the wonderful staff who make the experience all the more real. I feel like there were a few things we didn't get to do, which is fine because then we'll get to continue to have new experiences the next time we go! Needless to say, I took tons of pictures and only highlighted a few in this post. If you would like to see them all, feel free to check out my Flickr album here! I plan on doing a haul post as well at some point but most of the stuff I bought is still packed away from my move in January. Unpacking is the worst! 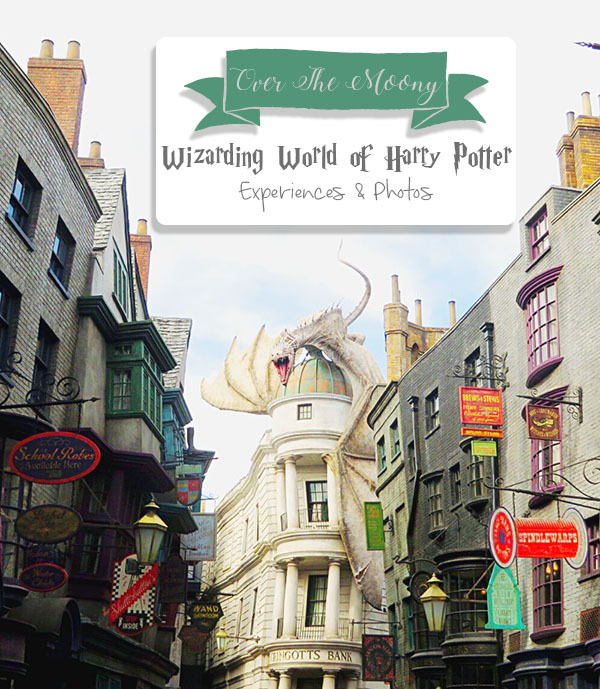 Have you had the chance to go to the Wizarding World of Harry Potter? What was your favorite part? Or if you haven't, what do you most want to do when you finally get to go? Let me know in the comments below!